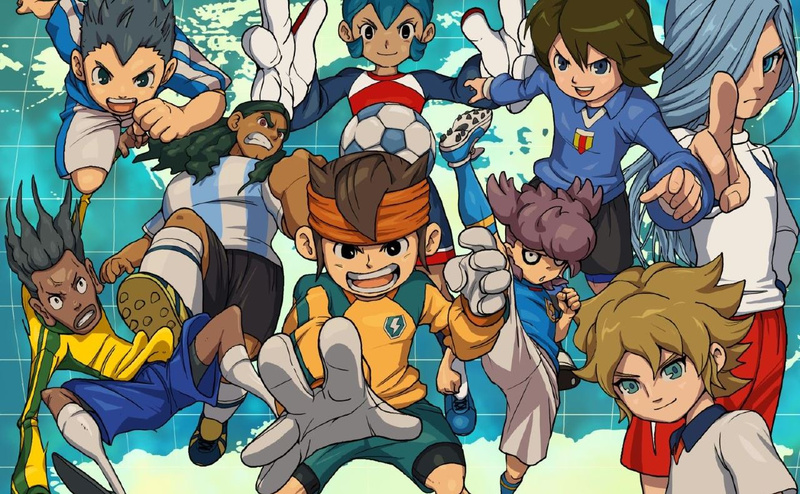 Inazuma Eleven 3 arrives in Europe on the 3DS in less than two weeks, coming in two different flavours with alternative side-stories — Lightning Bolt and Bomb Blast. With Nintendo on publishing duties it'll also arrive on the 3DS eShop, naturally, though it's another title that may prompt some to splash out on a hefty SD card. The Bomb Blast edition of the game takes up 13,214 blocks, which equates to around 1.6GB. That's more than double the size of Animal Crossing: New Leaf, but is still a bit smaller than the beastly Donkey Kong: Country Returns 3D. Its size is slightly surprising, as it's a remake of a DS title and, in many respects, the presentation isn't a notable step-up; it is packed with pre-rendered video, however, and like with Resident Evil Revelations that's likely to be the main cause of its SD card-hogging status. It's still rather large, however, when you consider that The Legend of Zelda: The Wind Waker HD is just under 1.8GB. We'll bring you our review of this latest football RPG, including our views on its latest crazy moves, before release. The latest trailer is below. I've never played these games before, are they just FIFA+RPG+Anime? Any word on how it'll be priced? I'm not paying £40 for a glorified DS port that's only one-third of a game that Japan got. @Spaciouz The football is a bit more simplistic than FIFA, but it's basically that. It also has a Pokemon-esque collection aspect which sees you collecting hundreds of players. They're good games; I'd highly recommend picking the first up as it's only about £8 from CeX. @lividd3ad That actually sounds pretty cool. I think I will when I have some money, thanks! @Spaciouz A word of warning, though: the dialogue is awful and the story is cheesy. It's the kind of thing you have to /want/ to love. I don't like football but even I must admit the gameplay is simply fantastic for the previous entries. wish this one had dual audio... I am still undecided if I will commit to this, I fear that Nintendo will release the 3DS trilogy that has been out in Japan since last year and make this obsolete. Wait, Thomas, you said football, but I think you meant soccer. Just wanted to let you know. I would buy this in North America. In my gaming career ( starting at the Atari 2600 ) I've never bought a soccer game. I'd buy this though. Looks like fun. NA 3DS eshop please. @SMEXIZELDAMAN It is football, the true name is football. But yeah for me america has rugby for them we have soccer. But it will always be football the true one resides in Europe and Latin America. Meh don´t want to start a stupid discussion. bye. @Spaciouz It plays nothing like Fifa, if it's at all similar to the first ds title I have. Is slower, allow for more strategy, controlled by the stylus... More like Pes on Wii (playmaker mode), but slower. If they include online, it's a done deal for me. If soccer/football were more like this or Mario Strikers, then I'd have more respect for the sport. Otherwise it's just boring. @SMEXIZELDAMAN stop spreading stupidity for the sake of humanity! @MadAussieBloke Where are the goalies? In the stands watching the searing soccer action? Man, you brought me back. Goodness... we have come FAR. Love Football & I love Inazuma Eleven. One of my favourite video game series! Over 13,000?! But that's an unlucky number! The second entry was really fun. Highly recommended. Looks like a soccer game I might actually enjoy playing.